Each team will be given a map of the local streets with clues for where to find the special Easter Egg Posters. Please make sure someone in your team has a camera phone or digital camera. Your team will have one hour to find as many Easter Egg Posters as they can and get back to the church. Then your team will enjoy a delicious (and free!) hot dog lunch whilst we tot up the points and work out who are the winners. 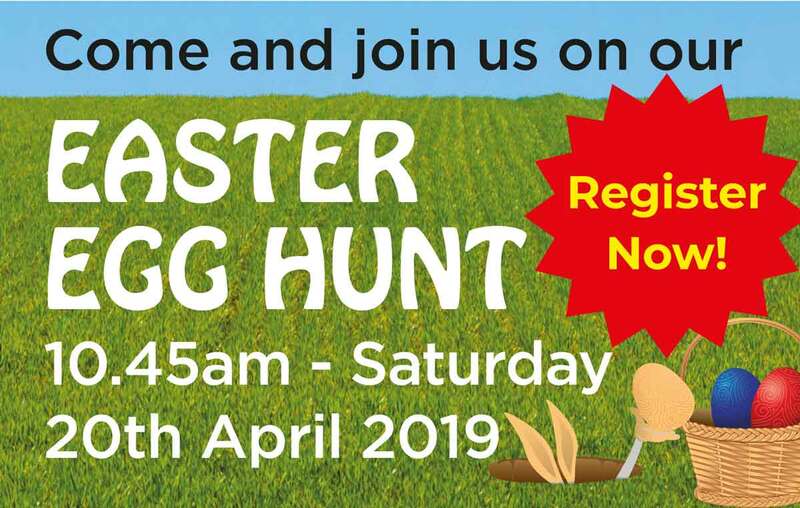 Our Easter Egg Hunt is completely free but it would be very helpful to know who is coming so we can cater for everyone. Please use the form below to register. Please note (sorry, we need this legal bit): This is a family event organised by Earls Hall Baptist Church for all ages. We cannot accept responsibility for anyone taking part. There will be no supervision for under eighteens so, whilst not saying they can’t take part, we would encourage adults to be with them. By completing the form below you accept this. We will be serving free hot dogs and cake for lunch. Registration is now closed. Please email children@earlshall.com if you'd like to enter a team and we'll see if we can squeeze you in. Thank you. By submitting this form, you accept the legal note mentioned above.